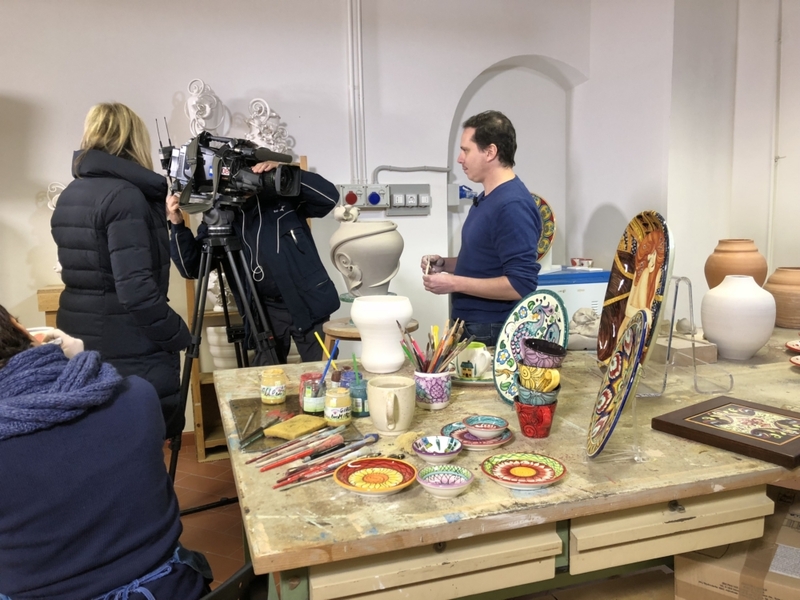 Saturday, January 13th at 11:40 on Rai Uno Italian Television, the program Easy Driver will devote its fourth episode to the city of Florence, to its historic center, to its wonderful surroundings and to the Florentine handicraft. The visit starts at Piazza della Signoria in Florence in search of the secret of a mystery graffiti by Michelangelo on the access ramp to Palazzo Vecchio. 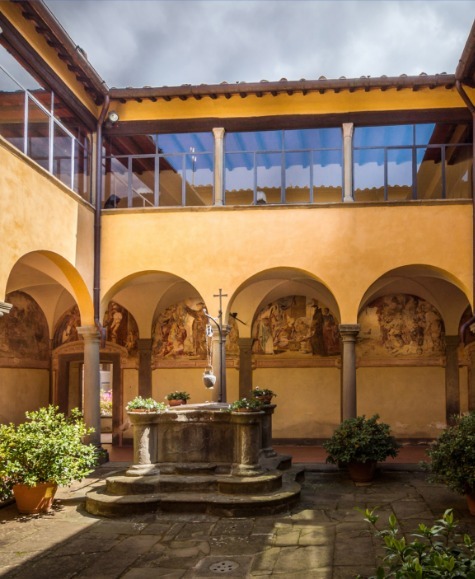 A few steps place Michelangelo apart from a contemporary artist, Urs Fischer, the author of a gigantic sculpture that has divided the Florentines between traditionalists and modernists. 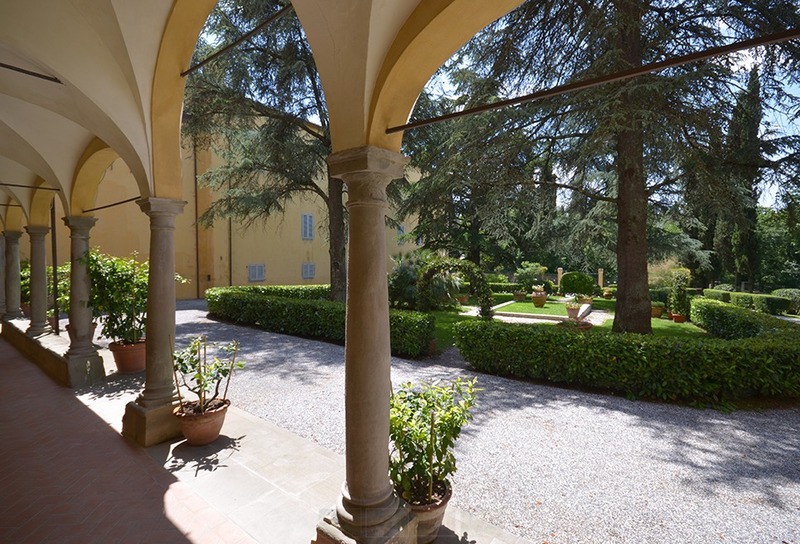 The hosts of the program, Metis and Veronica, will also explore Piazzale Michelangelo, the piazza most visited by tourists and where one can enjoy a panoramic view over the heart of Florence. Lead character is also the handicraft in the Oltrarno inside the Conventino/Officina Creativa, organized by Artex, a poly-functional and multi-sector space that acts as a propulsive center to the local artistic handicraft – Tuscan and Florentine – Italian and International, as seen in relation to the other “creative industries”, both traditional and innovative. In this program, the beautiful and talented host Veronica Gatto, will tell the story and introduce us to the work of two young Florentine artisans: Bianca Guscelli of Brandimarte and the ceramist Alberto Giampieri, along with all the other artisanal workshops inside the Conventino/Officina Creativa who offer a variety of handicrafts: from cutting crystal, to silver, to ceramics to fashion. Easy Driver is a long running program on the Italian Rai 1 TV that talks about how cars and motorcycles interact with the environment and the landscape, paying close attention to all the technical innovations aimed to energy conservation and the protection of the environment. Directed by Giuseppe Govino, Raffaele Maiolino, Eleonora Niccoli. Presenters Veronica Gatto and Metis Di Meo. If you missed it on TV you can watch it on RaiPlay.